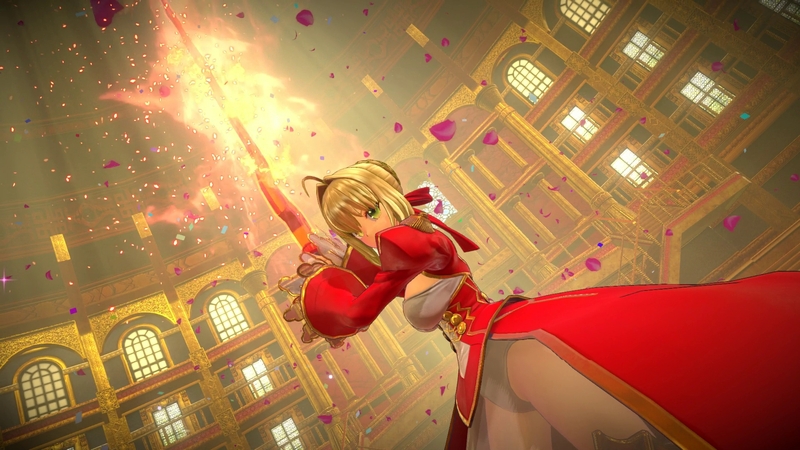 At E3 this year, the newest installment of the Fate series was on display and playable. 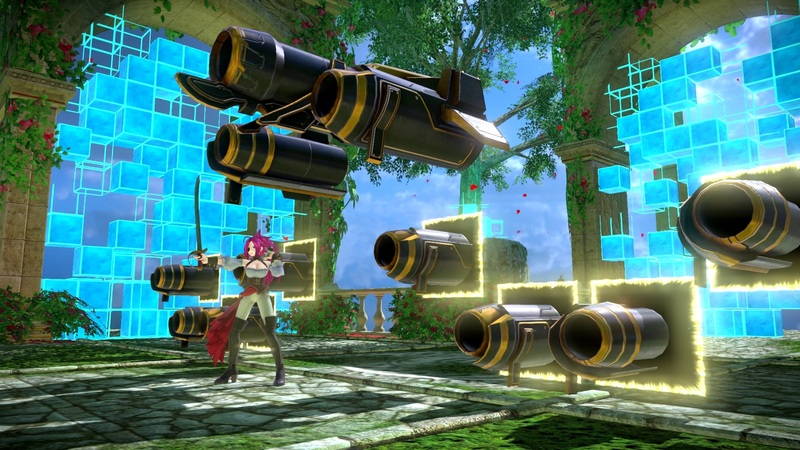 Fate/Extella Link is a direct sequel to Fate/Extella: The Umbral Star. I was able to check the game out while chatting with one of the developers working on its localization, which XSEED is naturally keeping as close to the source material as possible. 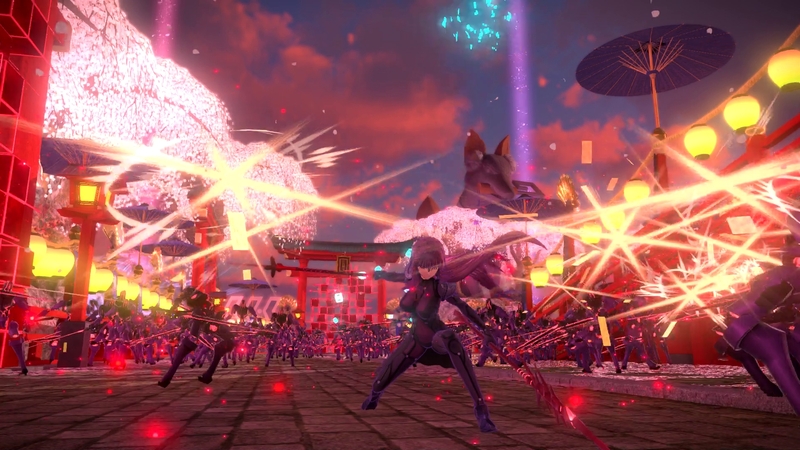 Fate/Extella Link will see an increased focus on the master (the character that is the avatar of the player), now allowing them to take a direct role in combat, further increasing the combat ability of the servant currently controlled by fusing with them during combat. If Rush combat is engaged while a servant is fused with the master, all servants currently on the battlefield will simultaneously attack. Beyond that, the master will also be able to directly teleport their servant to different sectors on the map. Combat has received an overhaul as well. There are now more enemy types the player will encounter on any given map. Noble Phantasms (ultimate attacks performed by servants) are now easier to perform, no longer requiring the player to collect 3 crests in battle, but are now triggered by filling a gauge while using the Moon Drive mode. There are more active skills in Fate/Extella Link than in the first game, along with new Double Skills, skills that combine the effect of 2 different skills in to one. 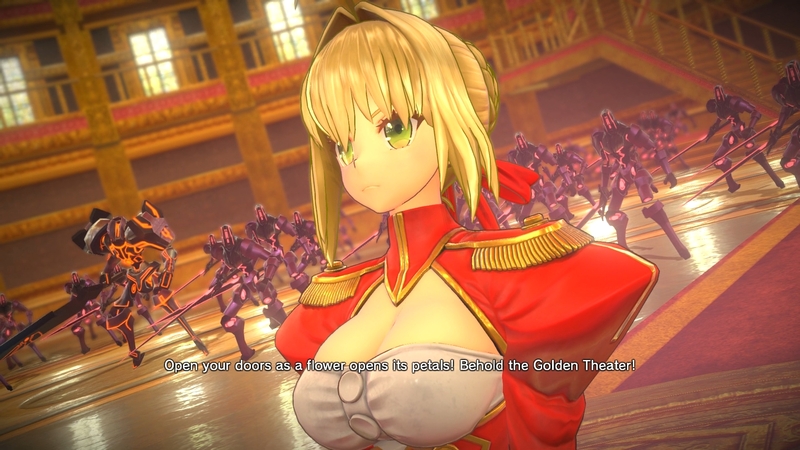 Visually speaking, Fate/Extella Link is much improved over the original, which the developer attributed to the team working on both games learning and improving upon the things they learned while working on Fate/Extella: The Umbral Star. Fate/Extella Link is currently available in Japan with an American and European release set for later this year on PlayStation 4 and PS Vita.